This not just for the rich and famous any more. In the past, we have done installations that cost £250k. Nowadays, you can get tablets that can control your heating, lighting and CCTV for around £300. A good multimedia system is no longer for those on big incomes and fancy houses. For only £300 you can a tablet that controls your lighting, heating and CCTV all in one. We have fitted multimedia systems that cost over £250,000 and no job is too small. Using tablets and a range of free apps is a super easy solution to controlling energy and appliances in your home. When homes already have lots of remotes, using your tablet instead of a multisensory remote is convenient because it rarely gets lost behind a sofa. 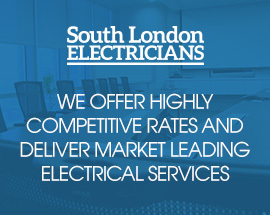 Compared to when South London Electricians first started installing multimedia systems in 1995 using a central server for music, wall controls, ceiling speakers etc. the cost has reduced by 95%! We believe that a home cinema or a really nice TV on the wall is for everyone, in fact, we have even installed a TV in the bath, waterproof, obviously. One of our largest projector screens was 6 metres long and was set up in London for use in a charity event that involved welding steel beams in place before it was mounted. Even now, when we do not have a lot of spare cash, having a HD home cinema can cost as little as £700. You can still have a great way to entertain friends, family and children for years to come without a hefty price tag.